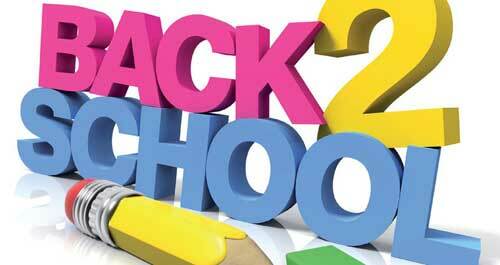 Did you get your Back to School Clothing and Footwear Allowance? The Back to School Clothing and Footwear Allowance (BSCFA) provides a once-off payment to eligible families to assist with the costs of clothing and footwear when children start or re-commence school each Autumn. The scheme operates from 1st June to 30th September. The rate of the payment is €125 for children aged 4 to 11, and €250 for children aged 12 years and over. Similar to arrangements in previous years, the majority of this year’s BSCFA payments for approximately 104,000 families in respect of approximately 190,308 children were fully automated and parents were not required to make an application to the Department. These payments were made during the week commencing 9th July 2018. Families who did not receive an automatic payment in 2018 and who wish to apply for this means-tested allowance are required to make an application to the Department. Application forms for customers who still wish to apply are available in all Department offices, Intreo Centres, via SMS and email, and from the Department’s website and the scheme is open for new applications until 30th September. If you would like further information on the Back to School Clothing and Footwear Allowance or to check on your application, please contact my office on (093) 26476.